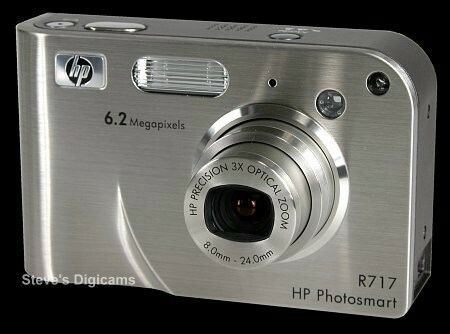 The HP PhotoSmart R717, like its 5.1-megapixel sibling Photosmart R707 features HP Real Life technologies with HP Instant Share, a technology that makes sharing, printing, and saving digital photos easy. 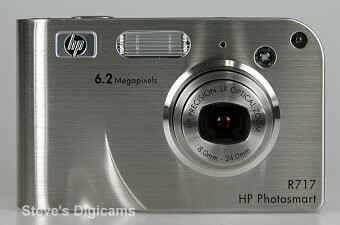 In addition, the HP PhotoSmart R717 digital camera offers 6.2-megapixels of resolution, 3x optical zoom, 32 megabytes of internal storage and PictBridge capabilities, all of which help users achieve professional-quality photos. The R717 also includes features like a durable, stainless-steel/high-impact plastic construction and HP�s exclusive Real Life technologies, which includes Adaptive Lighting and HP Image advice. The in-camera red-eye removal system, automatically eliminates red-eye in your images, to ensure the best possible photos and memories. 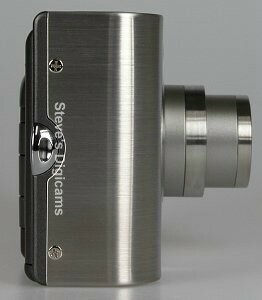 With two additional shooting modes (Beach/Snow, and document capture) users have more options to assist in taking outstanding photos. HP Instant Share makes sharing, printing and saving digital photos easy. 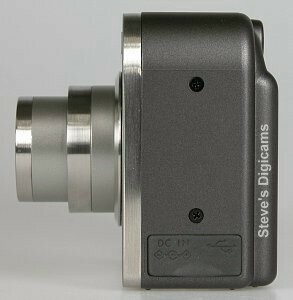 Users simply take a photo and select its destination right on the back of the camera � up to 34 destinations, including e-mail addresses, online albums, printers and more � by simply pushing a button. 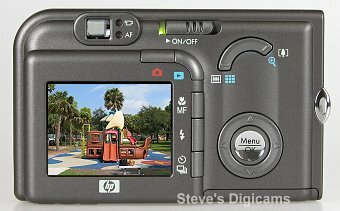 When the digital camera is later connected to a computer or the optional camera dock, the selected photos are automatically printed and/or e-mailed without burdening friends with large file attachments. E-mail recipients see thumbnails of the images right in the body of their e-mail message, as well as a link to the web page where they can very easily view, print and save the photos, upload them to online albums and more. HP�s Adaptive Lighting technology (ALT), automatically adjusts high-contrast photos to bring faces out of shadows and details out of backgrounds. The technology balances brightness relationships between bright and dark areas in a photo, preserving gentle contrasts while compressing harsh contrasts. The result is automatic-contrast adjustment that lightens poorly illuminated objects and produces a true-to-life image that mirrors the natural beauty that the user intended to capture. The optional HP PhotoSmart R-series camera dock will allow users to easily share, print, e-mail and store photos and video clips. At the same time, the dock recharges the in-camera battery, in addition to an included spare battery via the dual charging bay. The HP PhotoSmart R-series camera dock also allows users to view digital photos on a TV with a wireless remote. 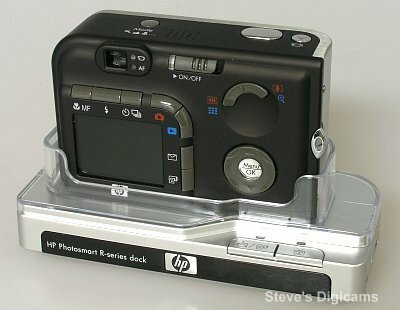 Docking capability with the optional HP PhotoSmart R-series camera dock. 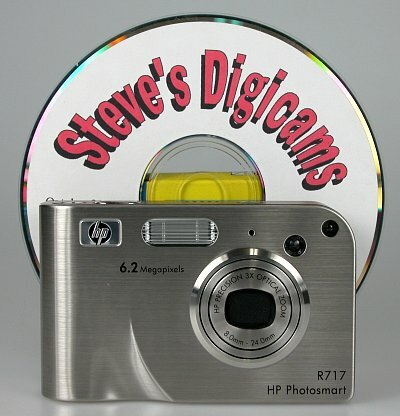 The PhotoSmart R717 compared to a standard CD.